I was in the mood for something chocolaty-peanut-buttery and yet easy to make. Cookies is usually the way to go and I know they’ll get eaten by someone other than myself. I haven’t got a photo of the cookies as such, because to be honest, they look pretty bad. I wasn’t in the mood to shape or even pat them down. It was one of those afternoons. But I do highly recommend salting them as per the recipe. I only salted a few thinking it wouldn’t taste very good, but actually it is amazing. These cookies are great, otherwise I wouldn’t be blogging about it. 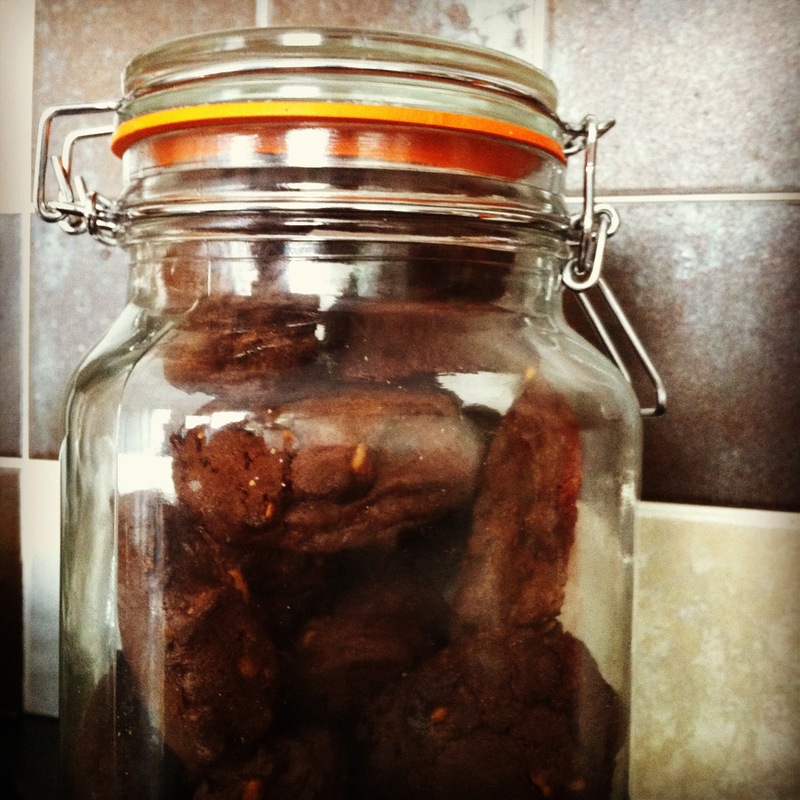 They are the crumbly, drier kind of cookie that usually don’t appeal to me, but with the peanut butter flavour and the chunks of chocolate, they will become a firm favourite. I got this recipe from a website called Food 52.
ps: I accidentally left out the baking powder and it was fine. pps: I also halved the quantities….we don’t need 36+ cookies lying about the place. It works fine. You’re looking at about 80g of flour (rough half of 1 1/4) and about 55g butter, and about 85g peanut butter…the rest of it divides easily. Combine flour, cocoa, baking soda, baking powder, and salt. In another bowl, beat butter, sugar and vanilla, beating in eggs one at a time then beat in peanut butter until just combined. Add dry ingredients and chocolate chunks and mix until just combined. Spoon onto lined baking trays and top each cookie with a few sea salt crystals. Bake cookies for 12-14 minutes, until the edges are firm. It’s OK if the centers are a tad soft they’ll harden up.